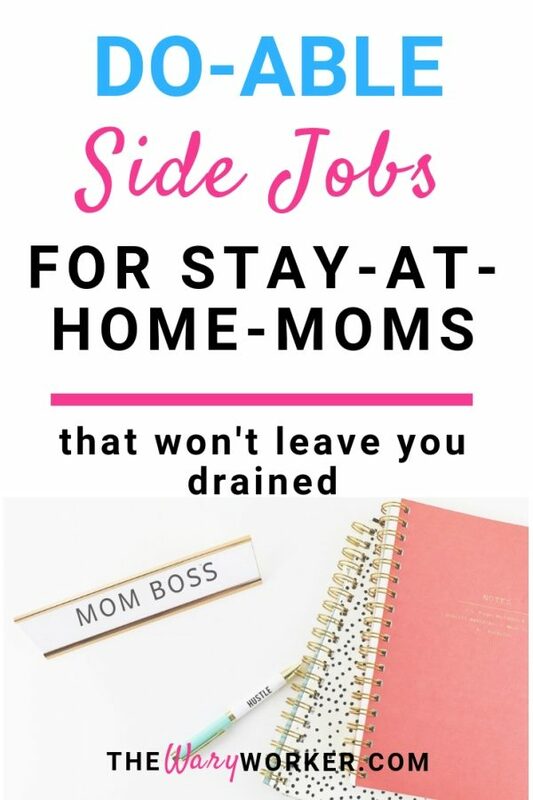 Today you’re going to read about several side jobs for stay at home moms that are easy to do and won’t leave you feeling drained. With three little toddlers, these are the side jobs I do to make over $1200.00 a month so I know they are totally do-able. So, whether you’re a looking to make just a few bucks a month or pull in a nice income, these just might be the best work at home job ideas for stay at home moms. Shipt: an internet based grocery delivery service. And my favorite “extra money” gig. Time Spent: About 2 hours a week. I could do more if I felt like it. 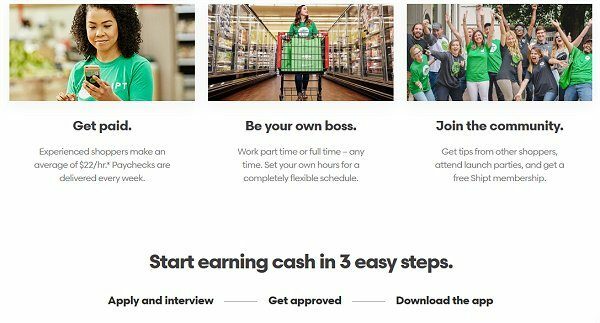 This is such an easy mommy-side-job because I have to go to the grocery store every week anyway, so why not make some money while I’m at it ? Plus, I like to grocery shop early in the day before it gets crowded, so this is a perfect side job for me. Even with kids. They know how to behave in the grocery store. Apply, get approved, download the app, start shopping and get paid. Oh, you do have to be at least 18 years old, have a valid U.S. drivers license, valid insurance, and a recent-ish model car. Postmates. You first sign up, with Postmates, download the Fleet app, see who needs some food delivered, take home 100% of what you earn. Heck, why not? What’s one more kiddie in my house? I already have the toys, snacks and patience. Time Spent: If I had to count this as working hours, I would say I spend about 10 hours a week. 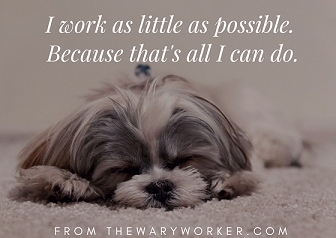 Because the little guy is a small extension of my family, it’s not really work. And because his mom is my friend, and I can relate to her need for good, inexpensive childcare, I cut her a brake. I learned of AskWonder about a year ago and boy, am I glad I did. Turns out I really like to do internet research. And I seem to do it ALL THE TIME. I consider this to be one of the most flexible side jobs for moms because it can be done any time, any place. How do I do it? 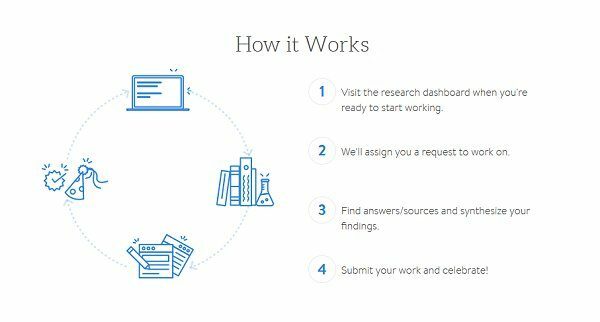 I log onto the Ask Wonder platform, look for submitted questions that appeal to me, do the necessary research and answer the questions. But before I started making money I had to go through the little thing called the application process and then do a few test questions. 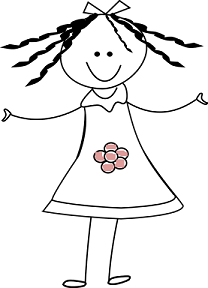 I can easily whip out at least 6 answers – research included – in a week. Not too bad for $6.00 to $8.00 average pay per answer. 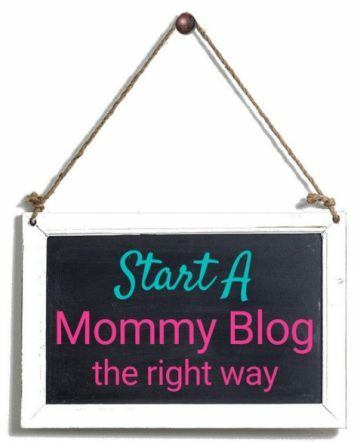 A lot of moms try their hand at blogging. Some are pretty successful at it, too. But I know blogging to make money is really hard and takes a lot (and I do mean A LOT) of time, patience, and writing, which is why I’ve never been crazy about the thought of blogging. And to be honest, I wouldn’t call this a great side hustle at all. I mean, sit in front of the computer trying to churn out a few paragraphs about something that interests me today ? Unless…I can write like a blogger without actually running a blog (and all the work that comes with it) AND pick the topics that interest me. Picking the right places lets my creative writing juices flow and has given me a nice little bundle of cash. Upwork, a well-known and reputable freelance platform, gives me the opportunity to write about anything. The pay varies by customer that hires me but I make about $100.00 a month. Nashville Paw, although their writing rules are pretty complex and I couldn’t see how much they pay. Blog Paws, pays $75.00 per accepted post. The Bark, pays depending upon complexity of written piece. Kitty Catter, pays $15.00 for every 500 words written. The Dollar Stretcher, pays $.10 centes per published word. Time Spent: Between 1 and 2 hours a day, or up to 10 hours a week. This is one of those little jobs that doesn’t require a whole lot of experience. I had absolutely no transcription knowledge under my belt but was able to get a job with a company called Rev. I really like this gig, too, because I can do as much work as I want – whenever I find the time. The most annoying part about applying for this little job was the application. It literally took me about an hour to get through it, thanks to the skills tests. The tests were easy enough, I must have been anxious to get started. The pay is ok and there is always work to do. Some day I hope to start doing some of the captioning, which is a step up from transcription. I did invest about $30.00 to buy this set of headphones. I have kids, after all. Gotta block the racket. So worth it! 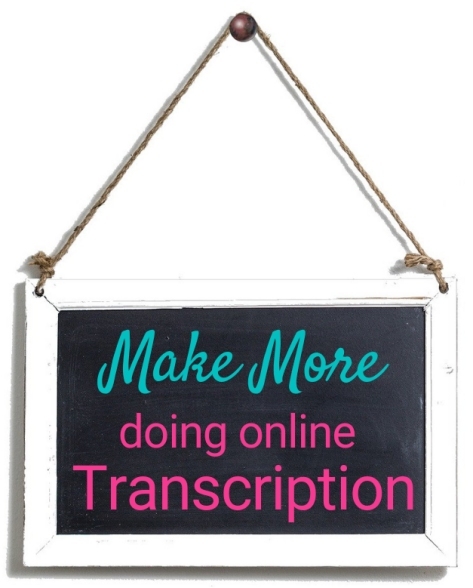 Here’s a comparison of the most popular places to do easy, no-experience-needed transcription. If I really wanted to do this for a living – because the pay can be pretty darn good – I would seriously get into these training courses. Time Spent: Depends on what I have to do but I usually spend about 5 hours a week. This is less than an hour a day because I tend to do this on the weekends. Some call this Virtual Assisting, some call it online assisting. I like to call it being a Remote Office Assistant because I tap into my past office experiences and do office-y things for others. I work whenever I want to and get paid about $15.00 an hour. Currently, I work for Time Etc and Fancy Hands but I plan on getting more high-payers by going solo (see below). I know, I know. Surveys ! Really ? Yep, really. This is by far the best way to make easy money for just a few minutes a day. …The trick is to find the survey sites that pay cash. And, to make things even better, some places give you sign-up bonuses. OK, first I should say this: when I say “passive income”, I really mean “things I do every day that save money – I’m not really making money” . And that’s OK. It still contributes to money in my bank account. I got hooked on the idea of a high yield savings account by reading DollarSprout.com’s article showing me how I can earn passive income. It opened my eyes to the fact my bank wasn’t sharing their wealth with me. So I looked around and joined a credit union that has a ton of reward options for me. I’m going to try affiliate marketing at some point. I just have to do more research. I work-out more because it curbs my appetite. And a curbed appetite means I eat less. Therefore I spend less on food. How’s that for a cool way to save money when on a budget ? I plan on providing zone-specific garden advice and selling that advice on Fiverr for…drum roll…five bucks. Wish me luck on this one. Before I get started, though, I want to make sure I get things going the right way so I’m going to check out this inexpensive VA course. Then, when I have some money saved up, I’ll get this highly-rated online course because I want the best training I can get. I’m thinking about trying to get on with StitchFix as one of their online stylist. Heck, I love fashion so why not ? Plus, according to Glassdoor, Stitchfix stylists are paid $15.00 an hour. Not bad for part-time work. Maybe they’ll need me in the future. Fingers crossed ! Over the years I have read a lot about starting a blog. And after having a few great ideas pop into my head I jumped on this bandwagon. Know what happened ? I flopped ! Not because I couldn’t write or manage a blog. I flopped because I really wasn’t interested in doing this. It was hard, and after six months I saw absolutely NO profit. None ! Even though working from home has always been my goal, working full time with little ones was not do-able. I wound up staying up really late and getting up soooo early just to get my full schedule in. And I was a grumpy witch in the meantime. So yeah, working full time was not in the cards while the kids were young. I just could not do this. Have a structured routine. Even if it was part-time. Oh ya, I have a lot of stuff. Baby things, knick-knacks, old cell phones. As much as I would love to part with all this ju…err…stuff, I just can’t seem to do it. I tried Ebay with mixed reviews. I didn’t earn enough profit to make it worth my effort. And I always seemed to be looking for boxes to ship my stuff out. I tried selling some of my husband’s old-ish video games to Game Stop (local gaming store) but again, more work than it was worth. So I gave up trying to sell my stuff. I think I’ll wait for one of those city-wide garage sales. That’s right, anything customer service related. Mainly because I can’t just shut my office door and hope the kids will watch themselves. Besides, I’m not much on talking on the phone. I’ve read SO MUCH about this kind of work; I would be PERFECT for it ! But, turns out this kind of job is just so darn hard to get ! And there’s NO WAY I could do any of those driving jobs for money, especially the ride share ones. 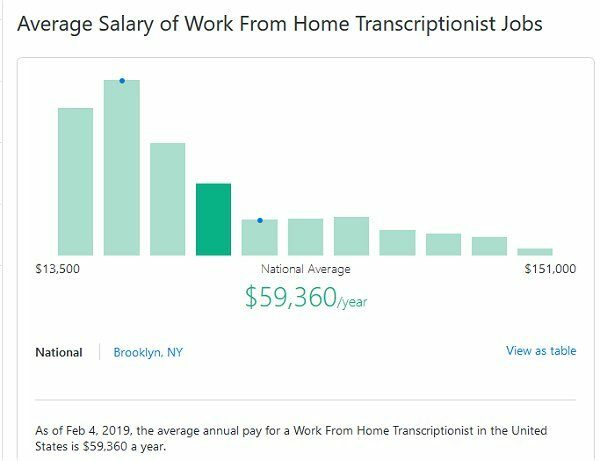 Some day I hope to bump my earnings and be one of those stay-at-home moms that make $3,000.00 a month like others claim they get. But I know one thing for sure: That won’t happen any day soon. My kids keep me too busy so I’m sticking with what I’m doing so I don’t get drained. What about you ? 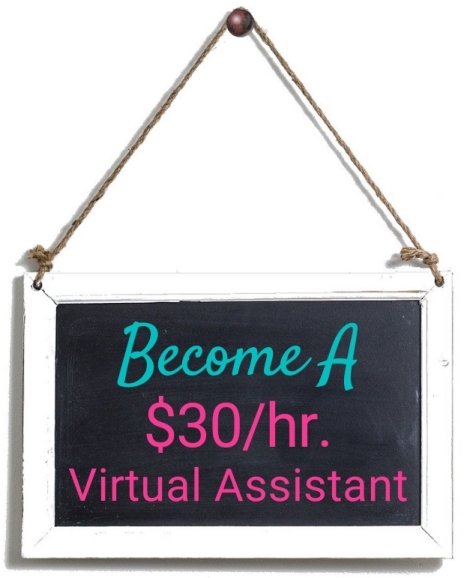 Are you ready to start out making $1,200.00 a month as a stay at home mom ? How to be a Chat Agent At HotelTonight. And Work From Home !